Primary residences receive better tax treatment than rental properties. Becoming a homeowner means it’s you, not a landlord, who has to worry when a hot water heater needs replacing or the roof springs a leak. It also means that you, not a landlord, can claim many of the expenses of buying a home on your taxes as a deduction when you file your 1040. While many first-time home buyers are aware that homeownership provides tax benefits, many don’t know about the various deductions they can claim. While it can be staggering to see how much you’ll pay in interest charges over the life of your mortgage, those finance charges have a big tax benefit: They can be claimed as a deduction. The Internal Revenue Service lets you claim interest charges on the first $1 million in your mortgage. Don’t underestimate the value of this deduction, as over the course of a 30-year, 5-percent mortgage on a $200,000 home, you’ll pay about $186,500 in interest, or about $6,217 a year on average. 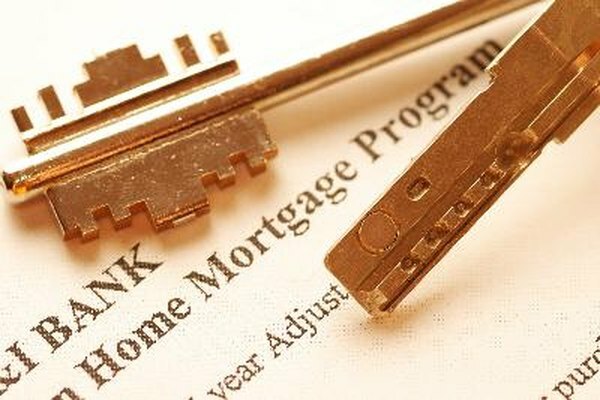 If you purchased points from your lender to lower the rate on your loan, you’ll save money over the life of the mortgage. You’re also entitled to a tax savings in the year you buy your home, as the IRS allows you to deduct the cost of points on your mortgage in the year you bought them. You can’t pay more than the normal rate per point for your area, and the payment must apply to the cost of the home, not toward closing or other administrative costs. You can even claim the price of points your seller purchased for you, as long as you deduct the points’ value from the home’s cost basis when you calculate its basis for capital gains. While only some taxes may be associated with the sale of a home, by owning it you’ll incur property taxes on its value each year. These property taxes are deductible in most cases. The IRS requires that they’re uniformly assessed against every property in your area and aren’t benefit tax assessments for improvements made by a municipality such as sidewalks or paving the road in front of your home. If your pay into an escrow account and your lender pays your property taxes, you may still claim the deduction, though you’re only allowed to claim the amount your lender pays, not the amount you pay into the escrow account itself. You’ll feel the largest tax advantage if you’re already itemizing your deductions rather claiming the standard deduction when you purchase your home. Because the standard deduction for couples is $11,900 and individuals is $5,950 in 2012, you’ll need to claim more deductions than those thresholds to make itemizing worth it. Even then, a slew of homeowner, health care and business deductions may raise your itemized deductions slightly higher than the standard deduction, .